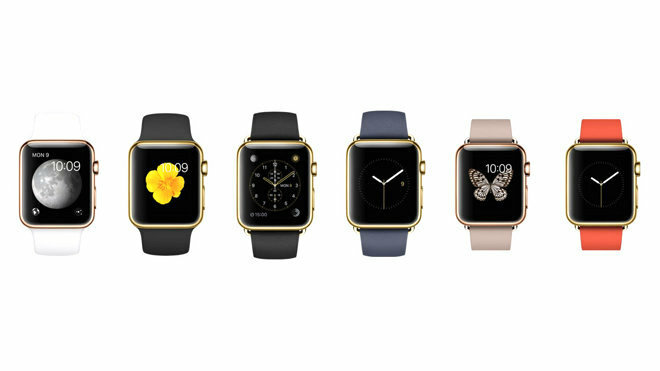 Citing employees familiar with retail plans for the Apple Watch launch, the International Business Times reported on Wednesday that buyers interested in the 18-karat gold Apple Watch Edition will get twice the time of others. The hands-on process requires users to select their favorite models through the Apple Store app on iOS, or the company's website, and preferences will be saved with their Apple ID. Once customers make a reservation to try on the Apple Watch, the associated models they are interested in will determine the time allowed for the appointment. The process would suggest that a shopper could schedule an appointment to sample the Apple Watch Edition, even if they have no intention of purchasing the five-figure fashion accessory. It's unknown whether all stores will carry the gold luxury version, or if all bands will be available to sample, but Apple has said that the Edition will have limited availability. But the stores will be getting a revamp ahead of the April 10 date, which is also when preorders will begin. Some may be able to try out the Apple Watch by walking in to an Apple retail store, if a unit is available. But to have a guaranteed spot, shoppers must make a reservation ahead of time once sampling begins on April 10. Two weeks after that will mark the official launch of the Apple Watch, which will start at $349 for the entry-level Sport version, going all the way up to $17,000 for the most costly Edition and band combination.